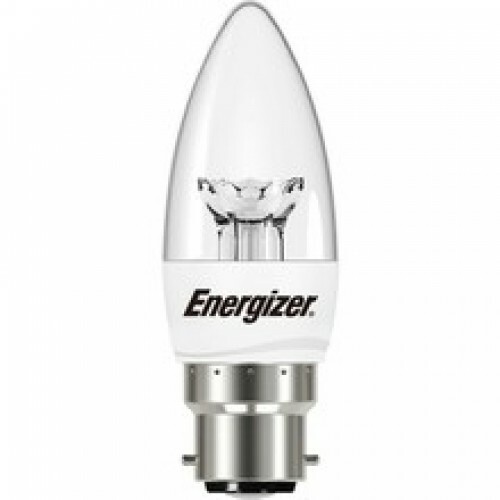 This Energizer LED Candle Bulb in a Cozy Warm White light Colour with B22 Bayonet cap is a perfect replacement for a 25w incandescent lamp and has a long Life span 25,000 hours and a 3 Year Warranty. Its only 99mm high so wont stick out of our lamp shade like most LED candle bulbs and has a clear lens giving a good spread of light. 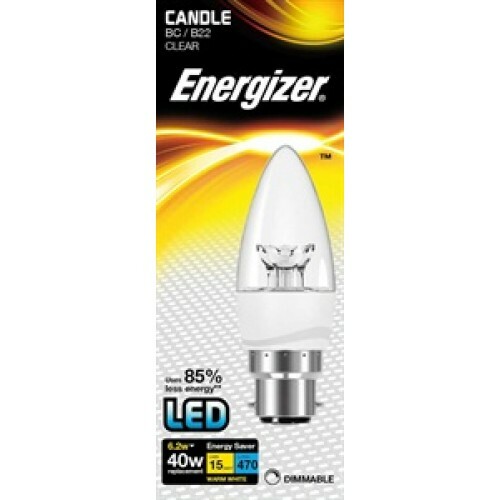 These LED candle bulbs are slightly warmer colour then most to match the light glow of an incandescent light but uses 85% less energy then and its equivalent 25w incandescent.